Statistics show that just 7% of respiratory patients know how to use their inhalers correctly, and close to 60% of those that use their inhalers wrongly, skip up to three steps of the proper technique according to this report. One of the most common mistakes is inhaling at the wrong time which prevents the medicine from reaching the lungs. This suggests that an alarmingly high rate of patients with inhalers either were not properly trained in using their inhalers upon prescription, that they were trained but forgot the proper technique over time, or simply did not understand the technique even after they were trained. An inhaler also known as a puffer is a small hand-held medical tool used to deliver medication through the mouth and into the lungs in certain doses. It is mainly used to treat shortness of breath related to chronic obstructive pulmonary disease (COPD), asthma and other respiratory problems. There are three different types of inhalers: we have the metered-dose inhalers (MDI’s), metered-dose inhalers with spacer and dry powder inhalers . How to Use Metered-Dose Inhalers – No Spacer. Take off cap from the inhaler and hold upright. 3. If you have not used the inhaler for some time you might need to prime it. 4. Tilt your head slightly backwards and breathe out all the way to empty your lungs. 5. Press the canister down once to release the medicine as you breathe in slowly. Don't press before you breathe or the medicine is likely to end up on your tongue which does you no good at all. 6. Breathe in for 3 to 5 seconds. 7. If you are able, hold your breath and count to 10 to allow the medicine go deep into your lungs. Repeat puffs as instructed by your doctor. Wait for 1 minute before taking another puff to allow medicine to deeply penetrate lungs. After using your inhaler, rinse your mouth with water, gargle and spit to help reduce medication side effects such as jitters. How to Use Metered-Dose Inhalers – With Spacer. Attach the inhaler into the end of your spacer. If you have not used the inhaler for some time you might need to prime it. Breathe out gently all the way to empty your lungs. Put the mouthpiece of your spacer between your teeth and tightly close your lips around it to seal it so that no medicine can escape. Press the canister down once to release the medicine into the spacer as you breathe in slowly. Take the spacer out of your mouth and hold to 10 if you are able to then slowly breathe out of your nose. If a second dose is needed wait for 30 seconds remove the inhaler, shake and repeat. After using your inhaler, rinse your mouth with water, gargle and spit to help reduce medication side effects. OR, if you find that it is not easy to hold your breath repeat steps 1 to 7 then breathe in and out of the spacer mouthpiece 5 times and repeat steps for a second dose. Breathing in and out of the spacer is as effective as holding your breath for 10 seconds, research has shown. Giving a very small child medicine through the spacer can be very daunting. 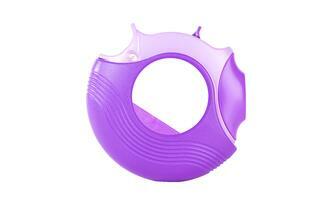 Ideas like giving the inhaler to their favorite toy first can be very helpful. Remember to always explain to them what’s about to happen and what you need them to do. How to Use Dry-Powder Inhalers? Twist or turn the inhaler as shown to you by your doctor until you hear a click sound to indicate that the dose has been released. Take off the cap if any. Tilt your head slightly backwards and breathe out all the way to empty your lungs, do this away from the inhaler so that you don’t blow the powder out of the inhaler, or the moisture from your breath into the powder which can make it clump. Put the mouthpiece between your lips and breathe in deeply so that the medicine can come out. Hold your breath and count to 10, if you can. Allow the medicine to go deep into your lungs. Breathe out gently, away from the inhaler. Check to confirm that a dose has been counted on the counter or the capsule is empty if using capsules. Repeat as directed by your doctor if need be. After using you inhaler, rinse your mouth with water, gargle and spit to help reduce medication side effects. It is important to keep track of the use of your inhaler. If your inhaler doesn’t have a counter you should consider the following; having two inhalers, dividing the number of puffs labeled on the canister with the number of puffs taken each day to get the refill date or marking your calendar a few days earlier before your dose runs out to have it refilled. This will ensure you never run out of medicine when you have an emergency. 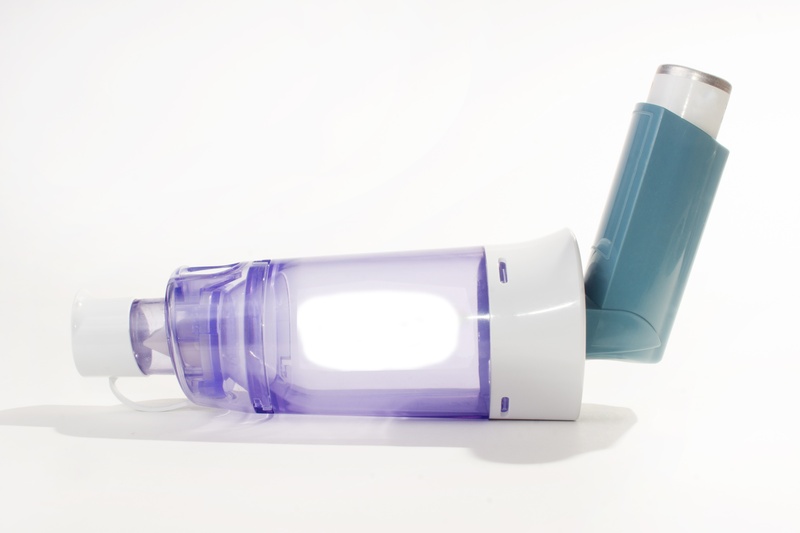 What's the Difference Between an Inhaler and a Nebulizer? Inhalers like the ones discussed above are small, portable devices that release medication in fixed doses. Nebulizers, on the other hand are powered by electricity, generally, so they are for home use. Nebulizers used compressed oxygen to deliver medication via a mask or mouthpiece. Before you begin, be sure to wash your hands. Ensure that the hose is connected to the compressor. Fill the medicine cup with your prescribed dosage. Close the cap tightly and hold upright to prevent leaks or spills. Seal your lips around the mouthpiece so that none of the vapor escapes. Be sure to only breathe through your mouth during this process. Use a nose clip if necessary. Sometimes a mask is used for those that have trouble breathing through their mouth. Continue until dose is complete. Disconnect hose, mouthpiece or mask. Wash with water after each use and with mild dish soap every 48 hours. If you are ill, use soap after each use. Allow to dry completely before next use. Faithfully sticking to your medical regimen is absolutely essential to successful treatment of respiratory illness. Proper use of equipment is necessary to ensure that you are receiveing the proper dosing. 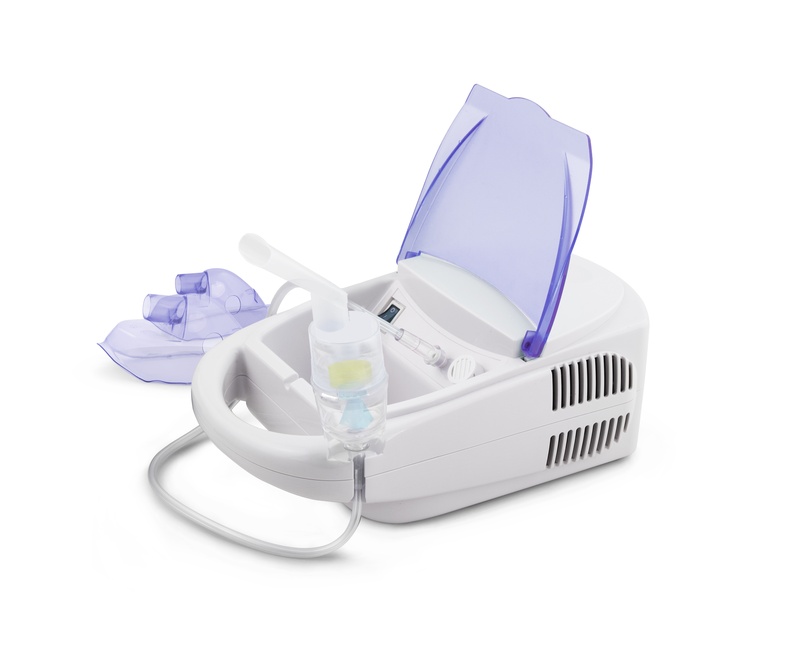 If you don't fully understand how to use your inhaler or nebulizer be sure to ask your doctor or respiratory therapist.